FAYETTEVILLE, Ark. – Universities around the country are striving to meet the changing needs of student-athletes and the Arkansas Razorbacks’ Office of Student-Athlete Success (OSAS) has taken innovative approaches to current events by creating programming that directly addresses hot topics and the changing landscape of college athletics. It is widely known that the changing economy and job market can often make post-college life hard. The Federal Reserve Bank of New York recently reported that 44% of college graduates were underemployed and that the average college student overestimates how much they will earn after graduation by 45%. As OSAS focuses on the area of career education and job attainment, they created programing that helps student-athletes with several key elements that will improve their post-graduate employment opportunities. 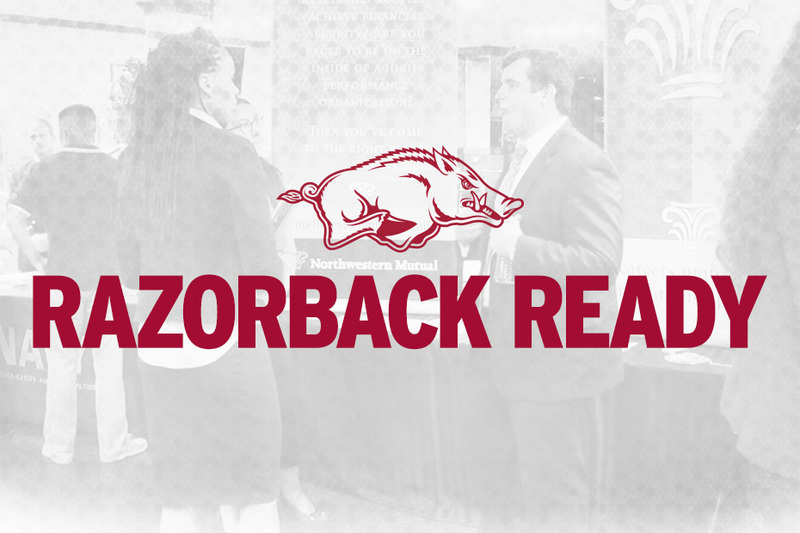 Razorback student-athletes have access to a staff person who assists with the development of resumes, cover letters and pertinent skills specific to potential jobs. In addition several workshops beginning during the freshman year, help ensure Razorbacks student-athletes are ready for professional life after graduation. As freshman, the programing is designed to encourage self-awareness. Student-athletes identify their talents, strengths and interests through a range of activities which are tailored to explore how those strengths will lead to success in different areas of their lives, including choosing a career path. As sophomores, Razorback student-athletes take a career exploration course that assists with selecting a major and career path that fits the individuals’ interests, values, strengths and personality. The class includes discussion, exercises and assignments designed to help the student-athlete conduct a personal self-assessment. Time is spent learning to gather occupational information, creating resumes, developing job interview skills, learning job search strategies and completing requirements for the Professional Development Institute (PDI). Students graduate from PDI and receive a letter of recognition from their college dean and a certificate of completion from the UA Career Development Center. As juniors and seniors, Razorbacks student-athletes have the opportunity to participate in a Finishing Touch series, a collection of workshops and career fairs. Workshop topics include interviewing skills, networking, utilizing the internet for job searches, dining etiquette and dress etiquette. Additionally, student-athletes have access to two career symposiums during the fall and spring semesters. Employers from a range of companies are invited to network with student-athletes. Last year, 29 companies participated in the career symposiums. When student-athletes complete three of the Finishing Touch series workshops, they receive gifts. Juniors will receive business cards and a Razorback padfolio and seniors receive a gift card to Dillard’s for the purchase of professional attire. Araujo is one of 180 interns selected from 23,000 applicants. Stay tuned to ArkansasRazorbacks.com as we cover in detail, the three other areas of programming within The Changing Landscape of College Athletics: Meeting the Needs of Our Razorbacks. For more information on Arkansas Athletics, follow @ArkRazorbacks, and @Hoglife_Scholar on Twitter.